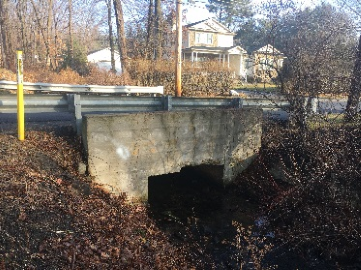 first Bridge Inspection project as a Prime in West Virginia with use of SPRAT. 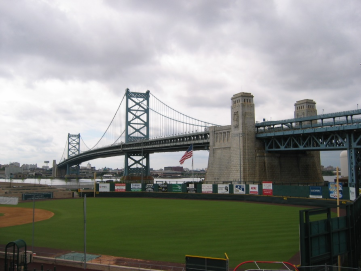 won the Ben Franklin Bridge Maintenance Painting & Steel Repairs for the Delaware River Port Authority as a subconsultant to HNTB. 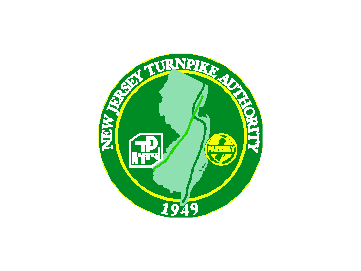 was part of GPI's team for the 2017 Major Bridge Inspection Program for the New Jersey Turnpike and Garden State Parkway for the New Jersey Turnpike Authority. was part of HNTB's team for the GEC for Delaware River and Bay Authority for the inspection of the Delaware Memorial Bridges. was part of ST Hudson's team for the GEC for Delaware River and Bay Authority for the inspection of the Cap May – Lewes Ferry facilities. won both the 2017 GSP Bridge Deck Repair and Resurfacing - Milepost 126.0 to 172.0 with Miscellaneous Structural Repairs as a subconsultant to Cherry Weber. won the 2017 Main Bridge Inspection Program – Turnpike Group 2 and 4 (Bridges and Signs) as a subconsultant to Arora and HAKS, respectively. 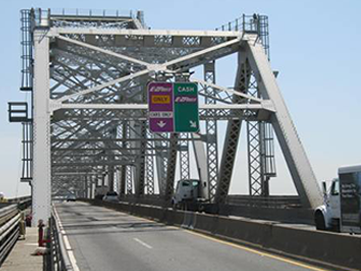 won the 2017 Bridge Deck Repair and Resurfacing - Milepost 83.0 to 122.0 and Newark Bay-Hudson County Extension as a subconsultant to GPI. won both the 2017 Main Bridge Inspection Program – Parkway Group 3 (Bridges and Signs) as a subconsultant to Cherry Weber. 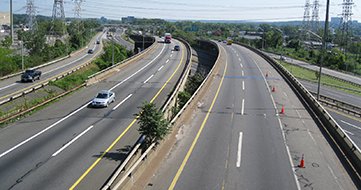 won the 2017 Construction Support Services for Northern Bridge Deck Repairs and Resurfacing for the New Jersey Turnpike Authority as a subconsultant to CBI. 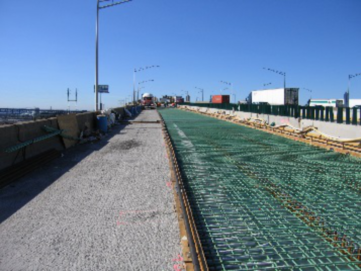 won the 2017 Newark Liberty International Airport AirTrain Guideway Extension Inspection Services for the Port Authority of New York and New Jersey as a subconsultant to HNTB. won the 2017 Inspection of the New Jersey Approaches to the Lincoln Tunnel for the Port Authority of New York and New Jersey as a subconsultant to WSP. won the 2017 Engineering Services for the Facilities Condition Assessment for Philadelphia Regional Port Authority (PRPA) as a subconsultant to ST Hudson. 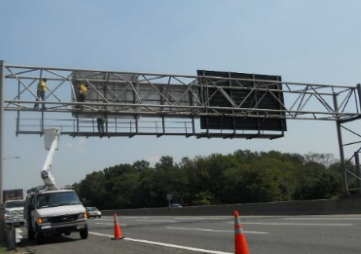 is performing the 2nd cycle of the Passaic County Bridges for the New Jersey Department of Transportation. 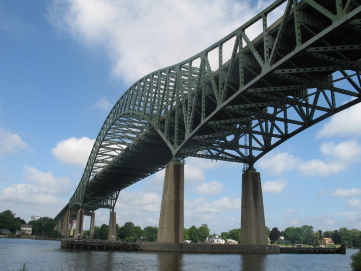 is part of the Construction Management Services for the Replacement of the Scupper Falls Bridge for the Delaware River Joint Toll Bridge Commission to Hill International. 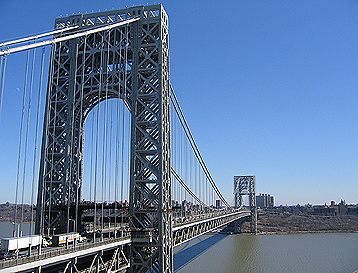 won the 2016 (interim) and 2017 Inspection of the New York Approaches to the George Washington Bridge for the Port Authority of New York and New Jersey as a subconsultant to WSP. 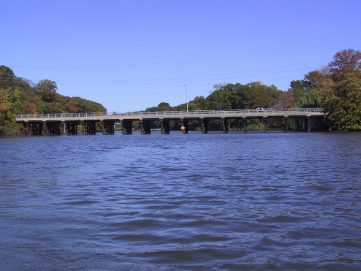 is assisting with the 2017 Inspection of the approaches to the Burlington-Bristol Bridge and Tacony Palmira Bridge for the Burlington County Bridge Commission as a subconsultant to Maser. 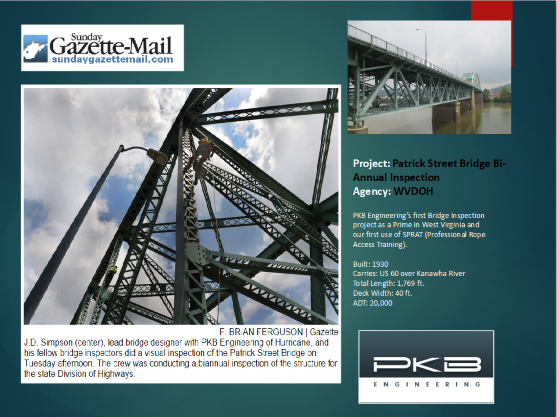 won 2017 Inspection of Patrick Street Bridge for the West Virginia Department of Transportation as a Prime. 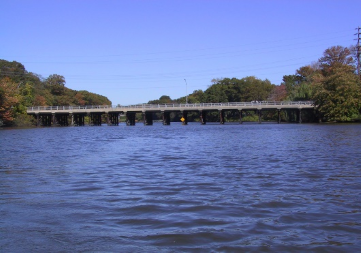 won the replacement of the Intervale Road Bridge for the Morris County as a Prime. 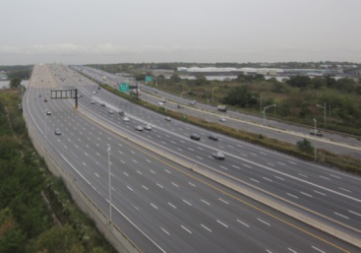 was part of GPI's team for the Major Bridge Inspection Program for the New Jersey Turnpike and Garden State Parkway for the New Jersey Turnpike Authority. 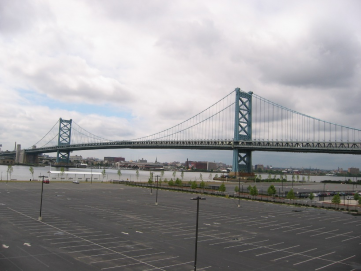 won the 2016 Biennial Inspection of the Ben Franklin Bridge for the Delaware River Port Authority as a subconsultant to HAKS. 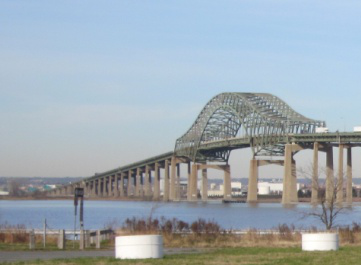 won the 2016 Biennial Inspection of the Commodore Barry Bridge for the Delaware River Port Authority as a subconsultant to HNTB. 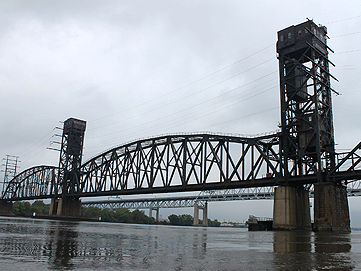 won the 2016 Biennial Inspection of the PATCO for the Delaware River Port Authority as a subconsultant to Remington and Vernick. 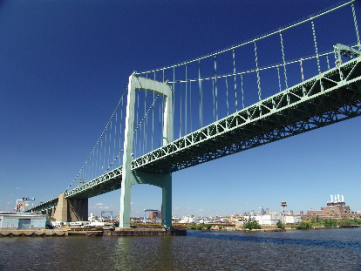 was part of HNTB's team for the inspection of the Delaware Memorial Bridge for the Delaware River and Bay Authority. was part of ST Hudson's team for the inspection of the Cap May - Lewes Ferry for the Delaware River and Bay Authority. 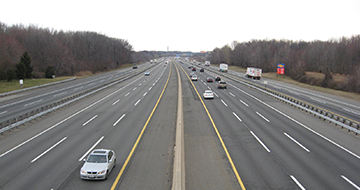 was part of HNTB's team for the 5 Year General Engineering Consulting Services (GEC) for the New Jersey Turnpike and Garden State Parkway for the New Jersey Turnpike Authority. won both the 2016 GSP Bridge Deck Repair and Resurfacing - Milepost 126.0 to 172.0 and Milepost 00.0 to 126.0 with Miscellaneous Structural Repairs as a subconsultant to Cherry Weber and Stantec, respectively. won the 2016 Main Bridge Inspection Program - Turnpike Group 3 (Bridges and Signs) as a subconsultant to HAKS. won both the 2016 Main Bridge Inspection Program - Parkway Groups 2 and 4 (Bridges and Signs) as a subconsultant to Cherry Weber and Arora, respectively. 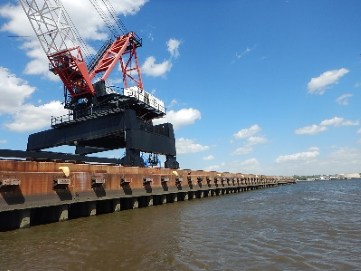 won the 2015 Construction Support Services for Submerged Pier Repairs for the Philadelphia Regional Port Authority as a subconsultant to ST Hudson. 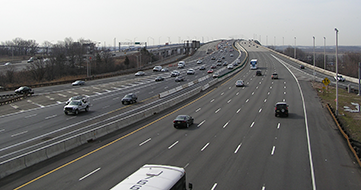 won the Construction Support Services for Northern Bridge Deck Repairs and Resurfacing for the New Jersey Turnpike Authority as a subconsultant to CBI. 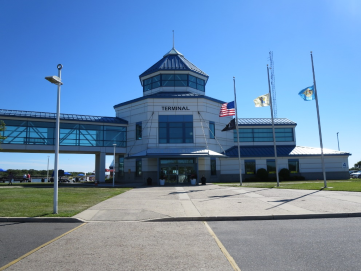 won the 2015 Newark Airport Air Train Inspection Services for the Port Authority of New York and New Jersey as a subconsultant to Michael Baker. won the 2015 Biennial Inspection of the Bayonne Bridge for the Port Authority of New York and New Jersey as a subconsultant to HNTB. 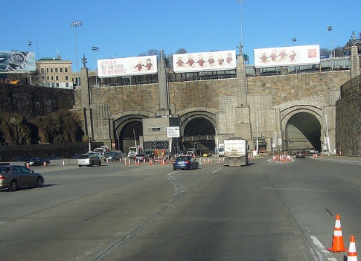 won the 2015 Inspection of the New York Approaches to the Lincoln Tunnel for the Port Authority of New York and New Jersey as a subconsultant to HNTB. won the 2015 Main Bridge Inspection Program - Parkway Groups 1 and 3 (Bridges and Signs) as a subconsultant to Arora and HAKS. 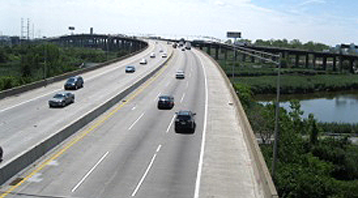 won the 2015 Bridge Deck Repair and Resurfacing - Milepost 83.0 to 122.0 and Newark Bay-Hudson County Extension as a subconsultant to GPI. 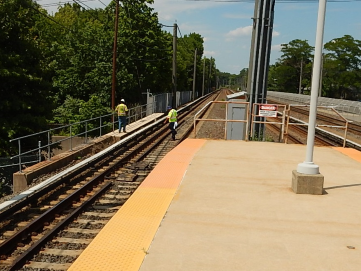 won two Inspection projects for the New Jersey Department of Transportation. 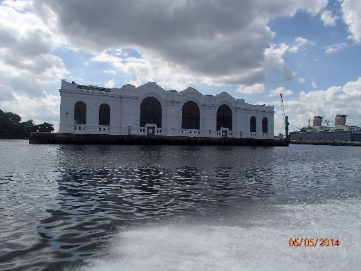 was part of ST Hudson's team for the 5 Year General Engineering Consulting Services (GEC) for Cape May-Lewes and Delaware City-Salem Ferry Facilities. 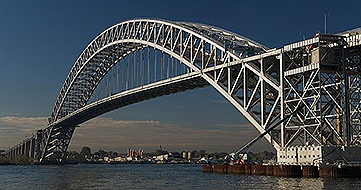 won the 2015 Main Bridge Inspection Program - Turnpike Group 4 (Bridges and Signs) as a subconsultant to HAKS. 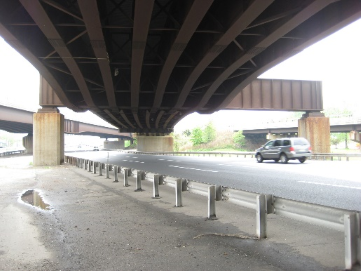 won the 2015 GSP Bridge Deck Repair and Resurfacing - Milepost 126.0 to 172.0 and Miscellaneous Structural Repairs as a subconsultant to Transystems. 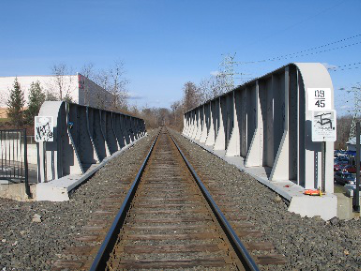 was part of HNTB's team for the 5 Year General Engineering Consulting Services (GEC) for the Delaware Memorial - 1ST and 2ND Structures for the Delaware River Bay Authority. was selected as a Prime by the West Virginia Department of Highways for the replacement of the Oak Street Bridge in Martinsburg, WV. 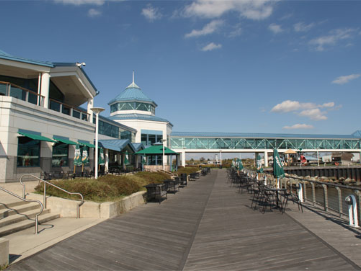 The project includes completing a design study and developing contract plans for the replacement of the 80' structure. Professional services will include roadway design, traffic analysis, ADA analysis, hydraulic modeling, geotechnical design and bridge design. 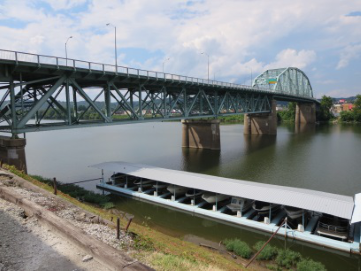 was selected as a Prime by the West Virginia Department of Highways for the 6 Year NBIS Bridge Inspection of the Patrick Street Bridge in Charleston, WV. 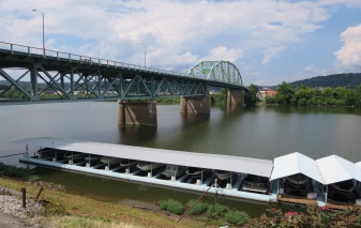 The structure is a 1769'-3' long structure that carries US Route 60 over the Kanawha River. It is comprised of twenty-seven (27) spans featuring three (3) simple span deck trusses and a 436'-5' simple span through truss. 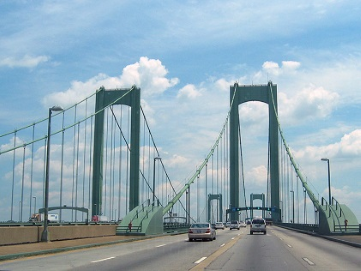 won the 2015 Biennial Inspection of the Walt Whitman Bridge for the Delaware River Port Authority as a subconsultant to HAKS. 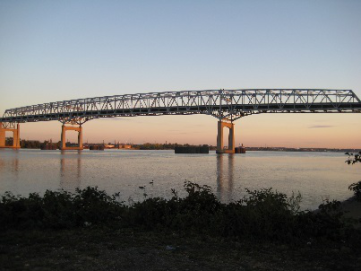 won the 2014 Biennian Inspection of the Betsy Ross Bridge for the Delaware River Port Authority as a subconsultant to HNTB. 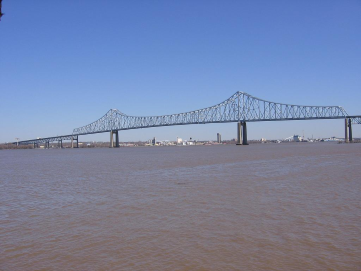 win the 2014 Main Bridge Inspection Program - Part B as a subconsultant to GPI. 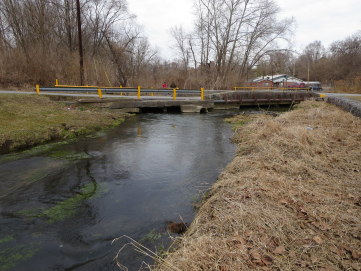 won a Woods and Irons HOA Sherwood Culvert Repair project in West Virginia. won the 2014 Main Bridge Inspection Program - GSP North and South as a subconsultant to KS Engineers. 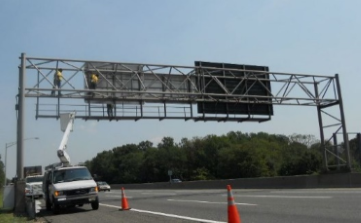 won the 2014 GSP Bridge Deck Repair and Resurfacing - Milepost 126.0 to 172.0 and Miscellaneous Structural Repairs as a subconsultant to Transystems. 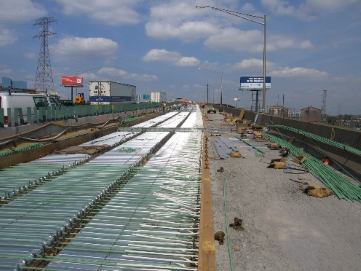 won the 2014 Bridge Deck Repair and Resurfacing - Milepost 83.0 to 122.0 and Newark Bay-Hudson County Extension as a subconsultant to GPI. 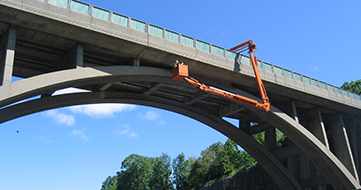 is on the 2014 Main Bridge Inspection Program - Part A as a subconsultant to HNTB. This will be the fourteenth consecutive year that PKB Engineers have served under this assignment. 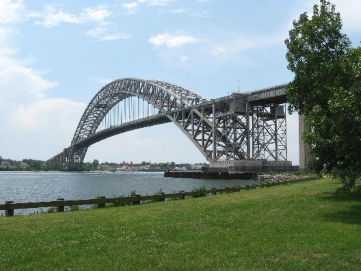 won the 2013 Biennial Inspection of the Bayonne Bridge for the Port Authority of New York and New Jersey as a subconsultant to HNTB. 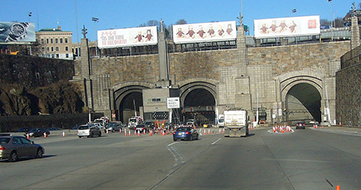 won the 2013 Inspection of the New York Approaches to the Lincoln Tunnel for the Port Authority of New York and New Jersey as a subconsultant to HNTB. 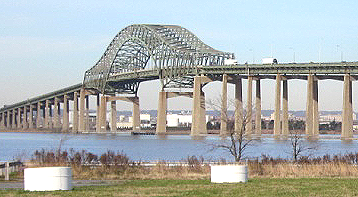 won the 2013 Main Bridge Inspection Program - Part C as a Prime for the New Jersey Turnpike Authority. 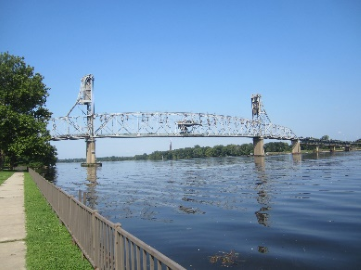 won the 2013 Main Bridge Inspection Program - Part B as a subconsultant to Greenman-Pedersen, Inc.
Won the 2013 Main Bridge Inspection Program - GSP North and South as a subconsultant to HAKS. Won the 2013 Bridge Deck Repair and Resurfacing - Milepost 0.00 to 122.0 and Miscellaneous Structural Repair Program as a subconsultant to GPI. 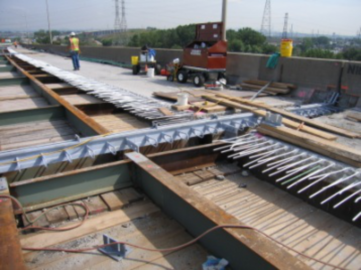 is on the 2011-2015 Main Bridge Inspection Progroam - Part A as a subconsultant to HNTB. This will be the twelfth consecutive year that PKB Engineers have served under this assignment. 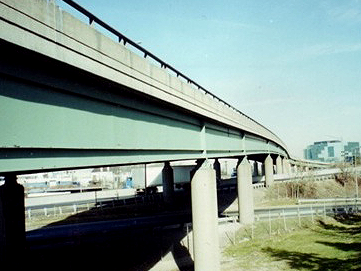 Will provide Consulting Services for the Undergrade Bridge Inspection Project - Group "C" for New Jersey Transit as a subconsultant to Greenman-Pedersen, Inc.
Will provide Design Services for the Repainting Structural Steel and Miscellaneous Bridge Improvements on the New Jersey Turnpike and Garden State Parkway routine and fracture critical member (FCM) bridges.as a subconsultant to Greenman-Pedersen, Inc.
Won the Fracture Critical Member (FCM) Phase 2 Risk Assessment and Fatigue Investigation of Laderman Memorial Passaic River Bridge, W107.87 as a subconsultant to Arora. 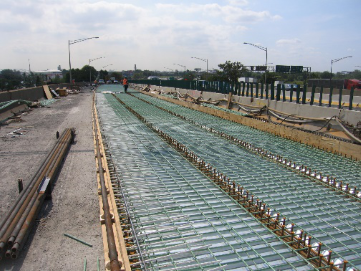 Won the 2012 Biennial Inspection of the Goethals Bridge as a subconsultant to HNTB. 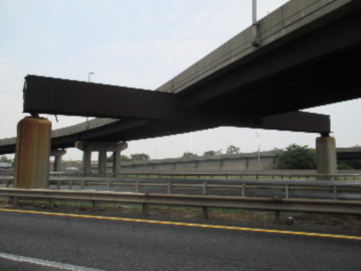 Won the 2012 Biennial Inspection of the Newark (EWR) Liberty International Airport Bridges as a subconsultant to HNTB. Won the 2012 Main Bridge Inspection Program - GSP North and South as a subconsultant to Arora. 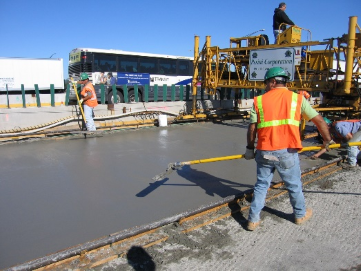 Won the 2012 Bridge Deck Repair and Resurfacing - Milepost 0.00 to 122.0 and Miscellaneous Structural Repair Program as a subconsultant to GPI. 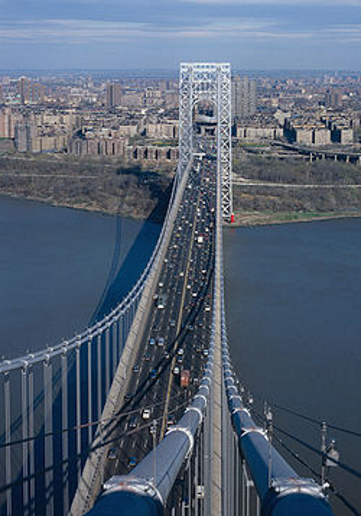 Won the 2011 Biennial Inspection of the George Washington Bridge Main Span (Upper and Lower Level) as a subconsultant to HNTB. 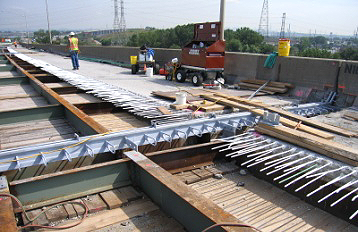 is on the 2011 Main Bridge Inspection Progroam - Part A as a subconsultant to HNTB. This will be the eleventh consecutive year that PKB Engineers have served under this assignment. Won the 2011 Main Bridge Inspection Program - GSP South as a subconsultant to TranSystems. © 2015 PKB Engineering | All Rights Reserved.